Sorry, I forgot to mention that I accidentally updated the console to 4.83 when I had the CFW, but thanks for the reply, that helped a lot. Just wanted to ask for some help regarding my PS3 situation. 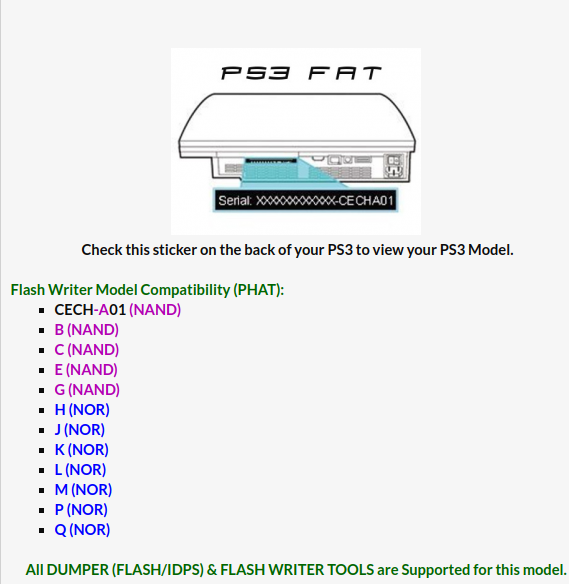 I own a PS3 CECH4204C model which was updated to version 4.83 before attempting to use HAN. I am not a n00b regarding PS3 hacking (doing it since the days of 3.55 FW and earliest tools), and wanted to enable HAN on it. I've downloaded 4.84 original FW.PUP from Sony servers and upgraded from 4.83, then I've installed the modified 4.84.2 HFW file from here and installed it twice just to be sure. After that I have put the files for HAN installation from ps3xploit.com, which went by perfectly ( it worked because now I had a new category to install pkg files on my XMB), than I dumped my ACT/IDPS from 2nd try successfully, and final I have tried enabling HAN to install the toolbox. And still I am stuck at this step - whatever and however I do it, it always says exploit initialisation failed (I have put the page as my homepage, I have tried clearing everything after each try, restarted ps3 after each try just to be safe) and it always fails. So if someone had a stubborn HAN enabler problem as me - can you please give some pointers or other suggestions? Sorry for the noob question, however still no PS3 Homebrew games (PKG) Install for 4K Models? Does it have Rsod Bypass? Im stuck with a ps3 on 4.82 OFW with Rsod and i'm waiting for a fix that doesn't need a flasher. This is interesting! Could you elaborate? What kind of xploits do my cfw eliminate? i followed everything rightly. but getting this error. 1) i tried changing port. 2) used different pen drives. 3) tried exploit web page and also mini web server. 4.) Tried dummy account for activation. Dont know why but my USB ROOT PATH shows three options usb000 , usb 001 and also usb 006. I want to thank the community involved in making this exploit possible and breathing new life to my aging PS3. I have a Super Slim CECH-4004. I had OFW 4.82 and HAN Toolbox 0.5 installed. It worked for a while until Sony patched the exploit, I did not update my firmware as recommended by this forum. I came back to the forum recently and found the new exploit HFW 4.84.2 which I have downloaded and installed via the XMB menu. The update installed but the firmware version shows 4.84 and I don't think the HFW installed correctly. I have tried to install it via the Recovery menu multiple times but it seems to fail as it installs to a random % and then says it's complete and boots up the PS3. Once that's done I try to install HAN 0.7 but it refuses to install via the browser using a USB on the far right port with the HAN support files on the USB. Is the issue with HAN or the Firmware? What do you mean by "it won't enable"? If you have package manager on the XMB, it means HAN was installed. HAN Toolbox is a separate XMB extension and is not included with HAN by default. I came back to the forum recently and found the new exploit HFW 4.84.2 which I have downloaded and installed via the XMB menu. The update installed but the firmware version shows 4.84 and I don't think the HFW installed correctly. This is normal. you will not see any difference on the XMB. It will just say "4.84" like OFW. I have tried to install it via the Recovery menu multiple times but it seems to fail as it installs to a random % and then says it's complete and boots up the PS3. This is normal too, the progress bar will seem like it skips to the end, don't worry about it. As long as it completes its fine. You do not install HAN Toolbox 0.7 via the web browser, you install that with package manager which should be on your XMB now if you have installed the HAN Support files? What you need to do is remove HAN Toolbox 0.5, do this in game data utility and then reboot, this will not work on 4.84 HFW. So dont bother with any of the options inside it. Once you are on 4.84 HFW and have installed the HAN support files, then you need to enable HAN with the web browser by going to this address http://ps3xploit.com/hfw/han/han_enabler.html , set that as homepage, then close and open the browser, then enable HAN on the webpage. Once you have HAN enabled, you can install HAN Toolbox 0.7.1 via package manager. Then you should be sorted. Removing the old HAN allowed me to install and enable HAN via the browser, then I managed to install HAN Toolbox 0.7.1 through package manager. That would be great. It would open the possibility to fix consoles with Rsod without the need of a flasher. Could you pls make a HFW/MFW with Rsod Bypass or Rebuild one of the CFW to be a direct install? It would allow me to fix my Ps3 that is stuck with Rsod on 4.82 OFW with Rsod. And i know that there are many people with that problem too.